World renowned robotic cancer surgeon Dr. David Samadi in New York City is now offering cutting edge diagnostic prostate cancer treatments, both pre-biopsy and post-biopsy, designed to maximize survival rates of prostate cancer patients. “We’re very pleased to offer these revolutionary diagnostic tests to our patients. These new testing methods are making for smarter diagnosis of prostate cancer, which then leads to the right treatment for each patient,” said Dr. Samadi, Chairman of Urology and Chief of Robotic Surgery at Lenox Hill Hospital in New York City. Prostate cancer is a killer, make no mistake: It is the second most common type of cancer and the fifth leading cause of cancer-related death in men. Unfortunately, diagnosing prostate cancer has been a hit-and-miss and downright controversial procedure. Now, however, with the introduction of genetic testing into every aspect of the process, Dr. David Samadi Prostate Cancer Center has removed many of the variables and eliminated much of the guess-work in prostate cancer diagnosis. The elevated accuracy of Dr. Samadi’s specialized blood tests and urinalysis ensures that biopsies are performed only when absolutely warranted. “This is a major shift in this field, especially when it comes to distinguishing between aggressive and low-grade cancers,” said Dr. Samadi. Dr. David Samadi Prostate Cancer Center uses the state-of-the-art UroNav Fusion Biopsy System when pre-testing indicates that a biopsy is warranted. Before UroNav, a prostate biopsy was a challenge due to the difficulties in visualizing not only the entirety of the prostate, but also the location of the biopsy needle. 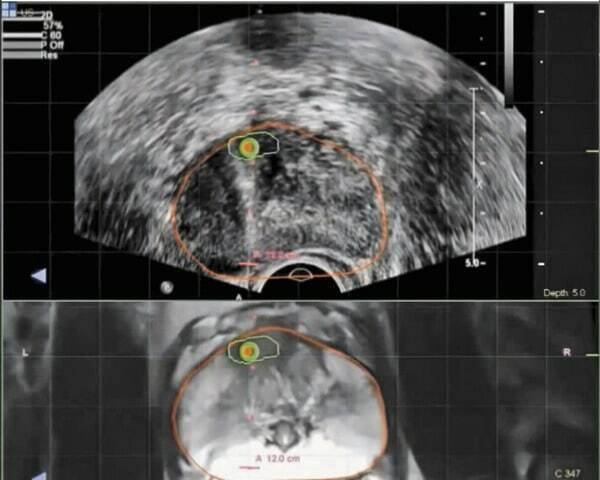 The new system fuses pre-biopsy magnetic resonance images (MRI) with real-time ultrasound imaging for crisp, clear delineation of the prostate and suspicious lesions, as well as clear visualization of the biopsy needle. Dr. Samadi Prostate Cancer Care Center is the only center in New York City using the Uronav Fusion Biopsy System for MRI-guided biopsy. “Now that we’ve moved from Ultrasound to MRI, in combination with smarter diagnostic testing methods, we may actually be to able crack the code and diagnose aggressive prostate cancer earlier. And of course, this leads to the right treatment for each patient,” said Dr. Samadi. Patients newly diagnosed with prostate cancer or an elevated prostate specific antigen (PSA) can contact Dr. David Samadi’s center for a consultation. Visit ProstateCancer911.com or call 212.365.5000 to set up your consultation.